Even though Apple’s $29 battery replacement for iPhones has run its course, it’s still possible to replace your iPhone’s battery for less than 30 bucks, although you’ll have to do it yourself. 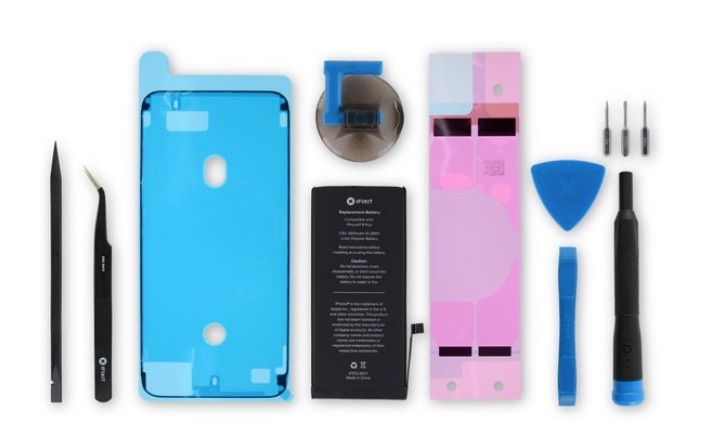 iFixit has announced that it will continue to sell its do-it-yourself iPhone battery replacement kits for $29.99 through the end of 2019.
iFixit, perhaps best known for their extensive tear downs of new Apple products, lowered the price of its battery replacement kits in late 2017, soon after Apple discounted their fee for replacing an iPhone battery. Apple’s program ended December 31, 2018. Apple’s lowered price was in response to the hullabaloo that erupted when it quietly introduced a performance management feature alongside iOS 10.2.1, which potentially slowed down older iPhones with degraded batteries. iFixit’s kits include the battery, along with all the necessary tools needed to open your iPhone and swap out the battery. The process, while cheap, is recommended to be performed only by users that are comfortable working under the hood of their device. Plus, if your iPhone is still covered under warranty, opening it yourself can void your warranty, so keep that in mind.